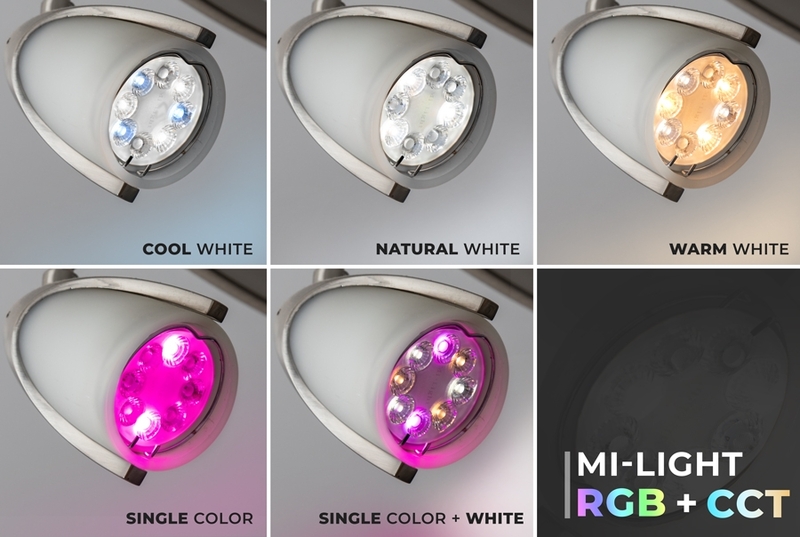 Experience color-changing and tunable white lighting with this MR16 GU10 LED bulb. Control it with the included RF remote from up to 100' away. 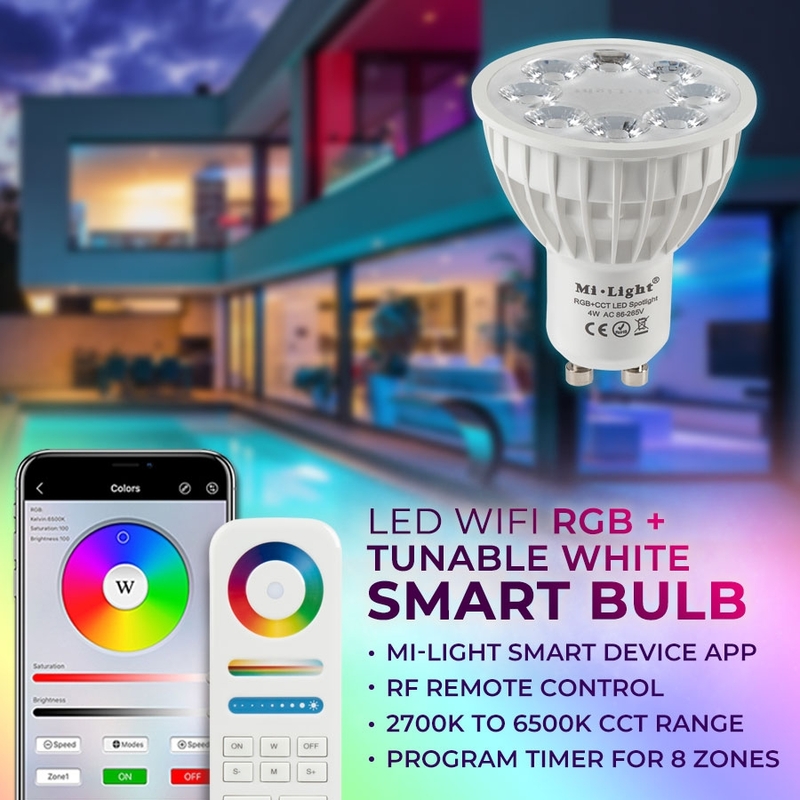 Choose from various color-changing/white modes, and adjust speed, brightness, color, saturation, and white color temperature (shade). 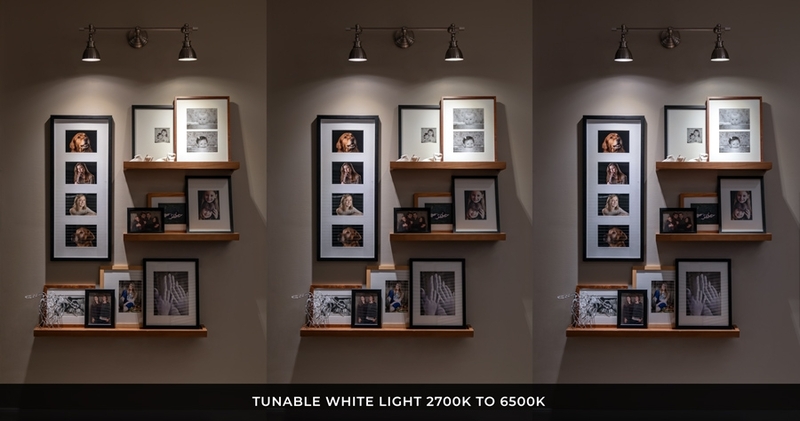 With power-cycle mode retention, your bulb will return to the mode that was selected before it was powered off. 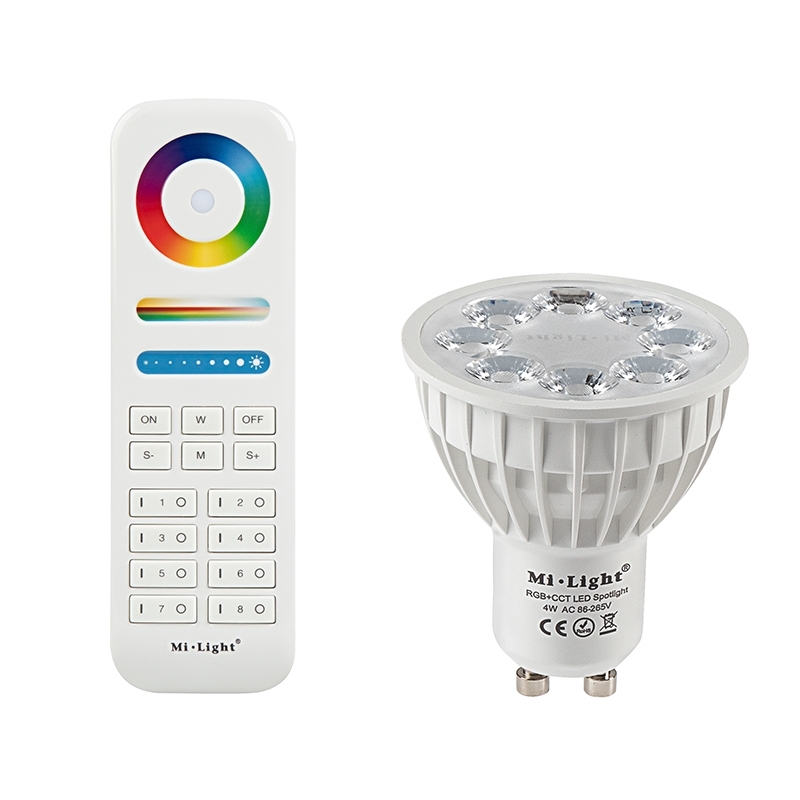 The remote also allows you to control up to 8 zones (groups) of lights. 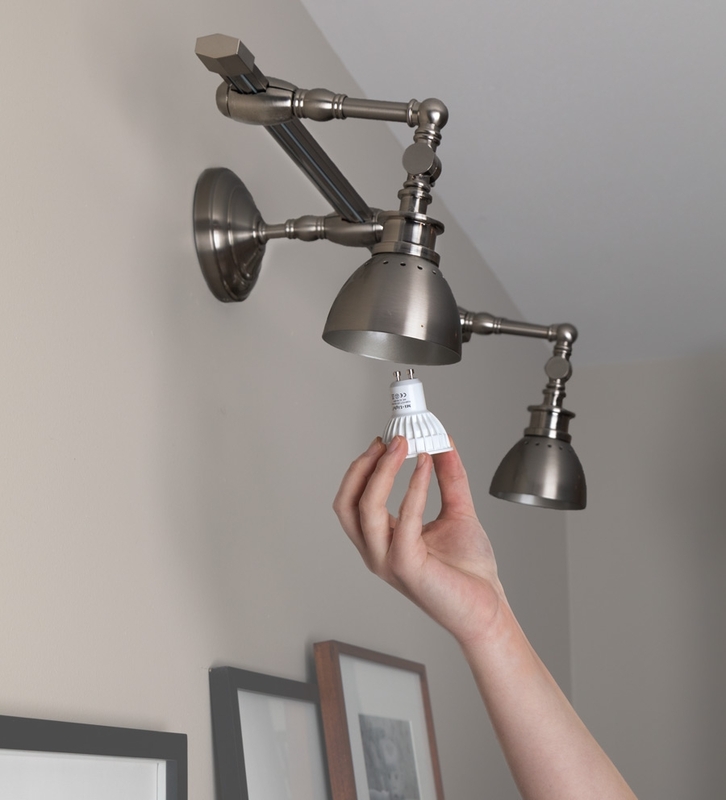 This 4-watt LED spotlight bulb emits up to 280 lumens in a narrow 25° beam. 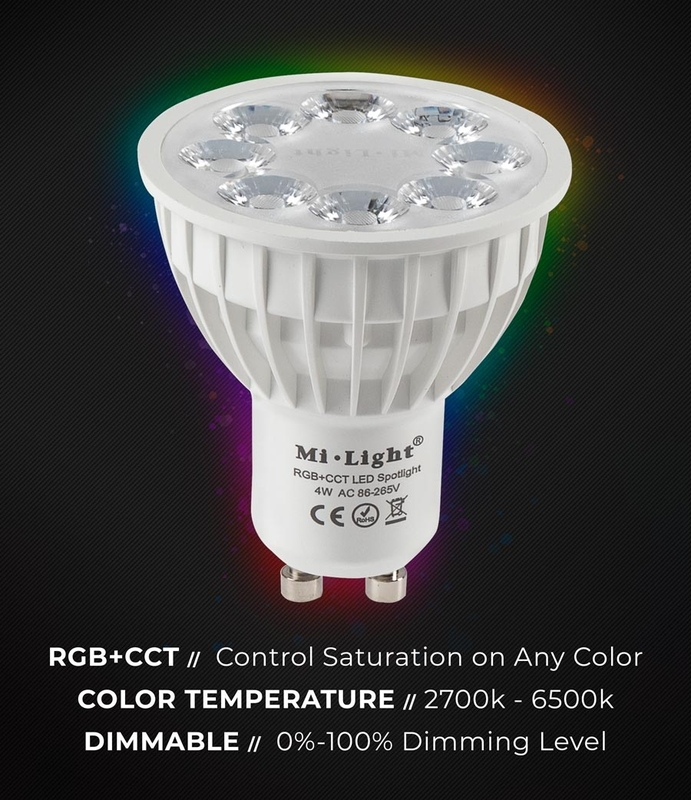 It's as bright as a 40-watt incandescent bulb but lasts 25 times longer. 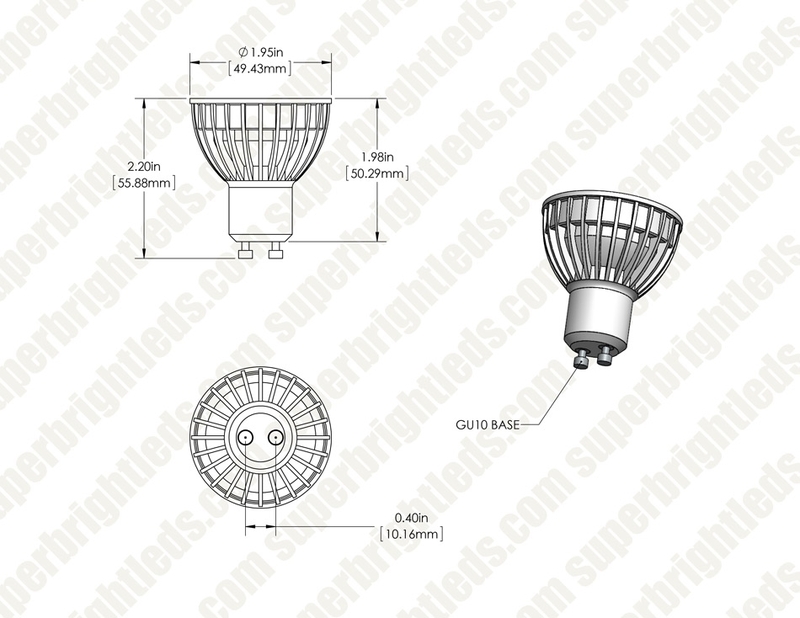 The MR16 LED bulb has a GU10 base and operates on 100-270 VAC. 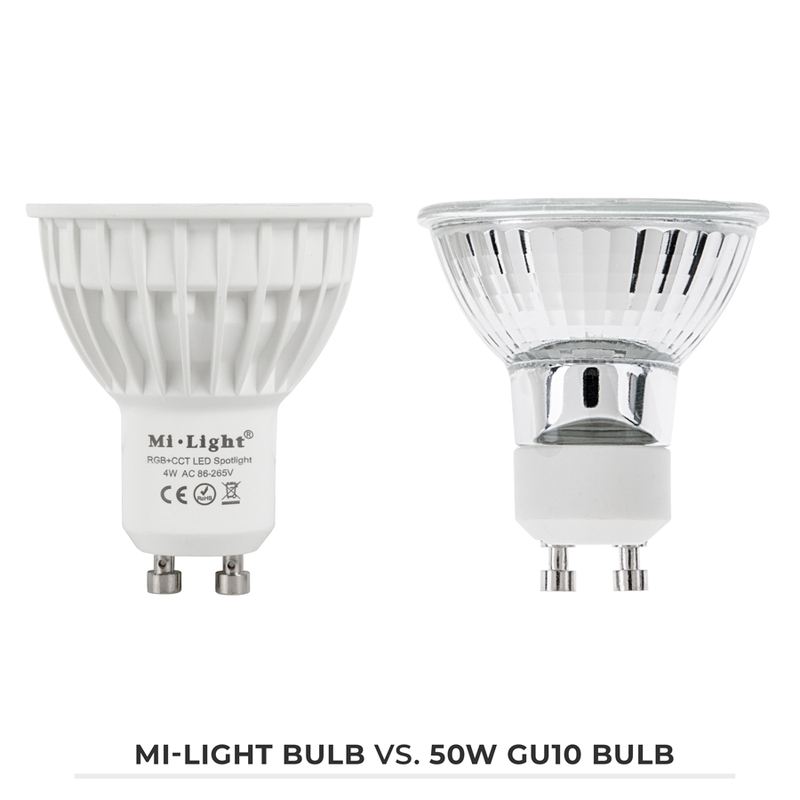 It's perfect for track lighting, recessed applications, desk lamps, or outdoor applications with waterproof housings.